Assigned to a fire and rescue brigade in the western city of Izmir, Devrim Ozdemir has started a trend. Now there are 51 women firefighters, though they are still a small portion of the 1,200-strong force. Paris, France: In the ring, battling flames or lifting off into space, women have entered professions generally considered to be men's jobs. "In the beginning, my family told me: 'Stop, you won't succeed, this is a job for men'," says Devrim Ozdemir, who did not heed the advice. 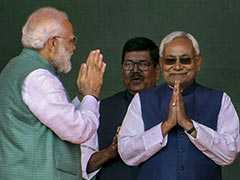 "Today, everyone supports me, they have confidence in me," says the 37-year-old. 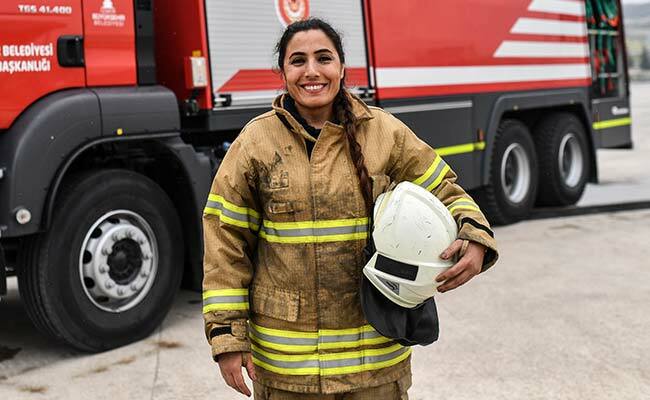 Assigned to a fire and rescue brigade in the western city of Izmir, she has started a trend. Now there are 51 women firefighters, though they are still a small portion of the 1,200-strong force. "Today I am a firefighter who stands beside people in their difficult times," she says, of her motivation. Her enthusiasm, determination and pride in her profession also inspires youngsters, like her six-year-old son instead of reading him bedtime stories she tells him about her work. "I'm a heroine to my son, it's an incredible feeling," she says, smiling, and adding proudly: "He, too, wants to become a firefighter." As the first woman amateur champion in mixed martial arts (MMA) in South Africa, Shana Power defies the stereotypes about women in a combat sport with her ferocity in the ring. She was nicknamed "Titanium". "When I was growing up I was very athletic, I've always been sporty. So I understood that the mind was as important as the body... if you can unlock the mind and build the mind then your body will be an unstoppable force." "I was 10 years old when Apollo 11 landed on the moon and that was my 'aha' moment as I like to say. "I looked at Neil Armstrong and Buzz Aldrin walking on the moon and thought that's what I want to do when I grow up: 'I'm gonna be an astronaut and I am gonna fly in space'," says Wendy Lawrence, 58, a former NASA astronaut. A trained Navy helicopter pilot, she realised her dream becoming an astronaut with four flights onboard a NASA space shuttle between 1995 and 2005. "So I suspect that in the minds of some of my male colleagues, especially when I was going through flight school, they probably thought I was gonna fly like a girl," she recalls. That meant she had to "work harder to be perceived as better... I was willing to buckle down and be focused for a long period of time cause my mindset was: 'I'm gonna prove you're wrong'." Lawrence retired in 2006 and says her advice is to avoid preconceived ideas about what women can do.